Tento rodinný dom sa nachádza v pokojnom prostredí, Jakuba, Ploce oblasti. Ide len o 150 m po ulici od domu, nájdete jednu z najkrajších pláží v meste, s reštauráciou a kaviareň s barom. K dispozícii je parkovanie na ulici 100 m od domu, zdarma. Dom Kirigin je špeciálne vhodný pre rodiny s deťmi, je tu detské ihrisko v jednej z mnohých záhrad v okolí domu. - Tento krásny štúdio apartmán má jednu spálňu, kuchynku a kúpeľňu. V apartmáne je možné ubytovať 3 osoby. To je klimatizované, s TV / nastavenia a ďalšie vybavenie, ktoré môže potrebovať počas pobytu. V prednej časti je veľký tieň terasu, kde si hostia môžu vychutnať nádherný výhľad na more, ostrov Lokrum a Staré mesto Dubrovník. Chôdza na Staré Mesto je veľmi jednoduché, len 15 minút chôdze, žiadne schody. Transfer z letiska je možné zaistiť na vyžiadanie. House Kirigin is lovely and in a beautiful location. 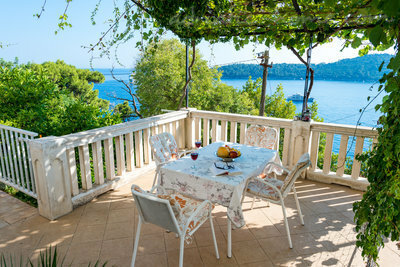 There is wonderful views from the terrace over the sea. A short walk in one direction takes you to a lovely little beach and in the other dorection a 10-15 minute walk to the old town. 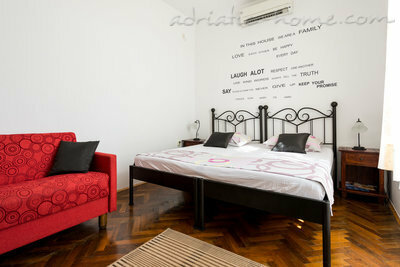 We really enjoyed our stay and cant wait to go back again. Maja is a wonderful host and made us feel really welcome, we had a beer on arrival and cake one night on the week - it was delicious and i regret not asking for the recipe! I would recommend this to everyone! 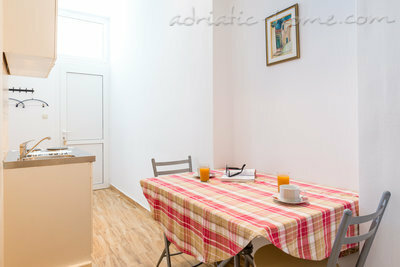 House Kirigin has an excellent location and is extremely clean and well maintained. 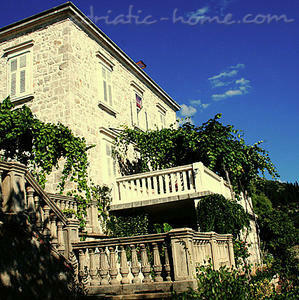 Maja was a fantastic host who was made us feel very welcome and catered for any requirements we had. 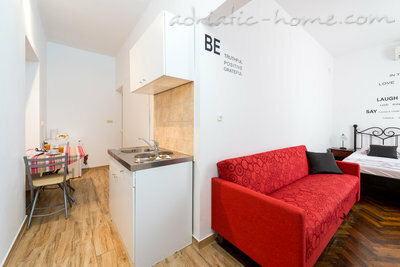 Definetely recommend the apartments to any visitors. Wir - zwei Freundinnen - haben drei Tage in diesem ruhigen Studio in wunderbarer Lage mit faszinierender Aussicht verbracht. Ideal: sowohl Strand, als auch die Altstadt sind zu Fuss leicht zu erreichen. 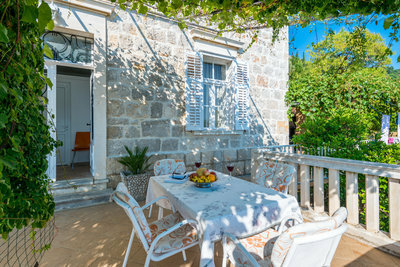 This is an ideal location for an enjoyable stay in Dubrovnik, near enough to the town to get there easily, but away from the crowds. there is also a nice little beach within walking distance. 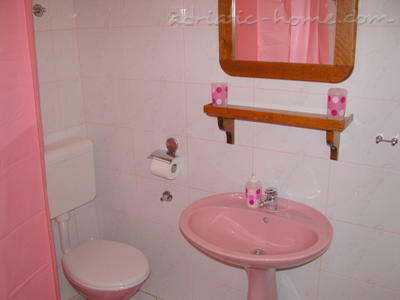 The rooms are comfortable and the owner could not be more helpful. Thoroughly recommended. As always, I greatly enjoyed the wonderful views and friendly hospitality in Vlaha Bukovca. 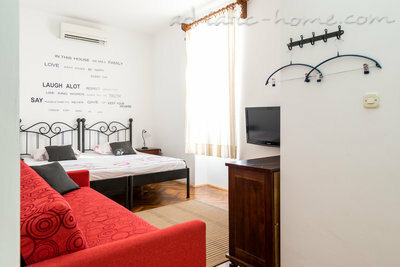 Great location, beautiful views of the old town of Dubrovnik and Lopud island opposite. Nothing can beat a beer in the evening or one of Maja's breakfasts in the morning on the stunning terrace. And a lovely scenic 15-20 walk into the old town makes it the perfect location too. I will continue to keep coming back to House Kirigin! A great location. The view of old town Dubrovnik from the patio where we ate our marvelous breakfast was stunning. The short walk to the old town was very pleasant. 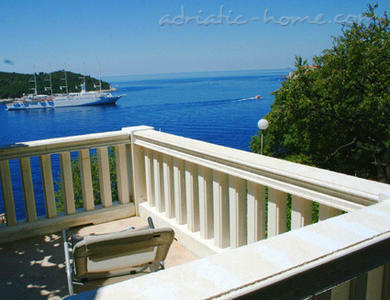 I will definately stay there again when I return to Dubrovnik. We stayed 2 nights here with another couple. 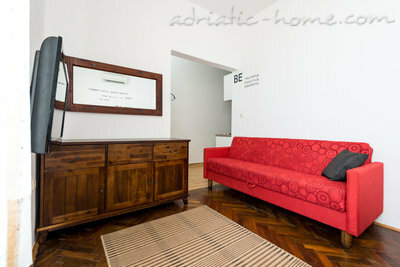 The accomodation was lovely and clean and the hostess (Maja)was incredibly helpful. We had trouble with our car rental and Maja was amazing and got it all sorted for us. 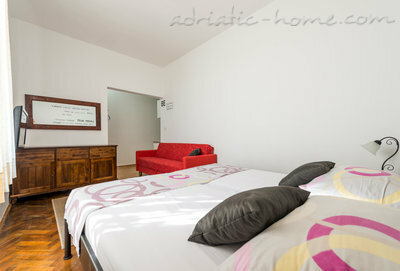 Lovely private accomodation with an amazing outlook and only a short walk to the old city. 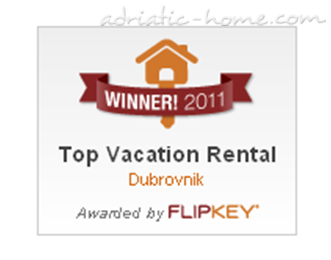 We will definately stay here again when we next visit Dubrovnik!! When we first arrived, she even brought us a lovely welcome cup of coffee which we really appreciated. Dostávať náš newsletter, niekedy vrátane ponuky od našich partnerov. Preposlali sme Váš dotaz majiteľovi tohto inzerátu. Niektorí z majiteľov tiež dostávajú SMS správy o nových dotazoch. Priemerné trvanie odpovede je 24 hodín. Mali by ste čoskoro dostať správu od majiteľa.